Kroger Shopping Trip – See How I Saved 56% and Stocked Up! Our family did quite a major kitchen remodel this summer so I hadn’t been stocking up like I normally do. This meant we were in major need of some snacks now that I’m packing lunches and feeding kids snacks after school. Kroger to the rescue!! I was able to get in a Kroger shopping trip yesterday after a fun-filled day of movies, football and a swimming birthday party. In addition to the GoGo Squeez and Nabisco Snack Cracker deals that were expiring, I stocked up on bread and some other perishable items and saved 56% which made me (and my checkbook) pretty happy! My total out of pocket after coupons and rebates was $61.08, and I saved $78.32! Kroger Seasoned Salt $3.59 – B1G1 FREE! Buy two Butterball Turkey Burgers $8.99 – Buy 1, Get 1 FREE! = $5.99 (or $3.00 each) after coupon! There is also a $1.00/1 Butterball Frozen Turkey Burgers; Limit 4 Like Coupons Per Household Per Day or here. You may also want to check your SavingStar account for a $4/$16 offer. *While this isn’t a bad price, I actually had a digital coupon for a FREE tub so I was bummed to see that this coupon wasn’t used instead of my $0.60/1 coupon. = $3.40 (or $0.68 each) after Checkout 51 deposit! = $0.74 after coupon or Checkout 51 deposit AND Ibotta deposit wyb 5 participating items! *Haven’t downloaded the Ibotta rebate yet? Get $10 when you create an account and redeem your first offer! = $0.95 after coupon and Fetch Rewards wyb 5 participating items! = $1.47 (or 0.49 each) after coupon and/or Checkout 51 deposit wyb 5 participating items! = $0.99 each wyb 5 participating items! *These are my FAVORITE filler items. They are a great snack option and it’s the only time I buy them. 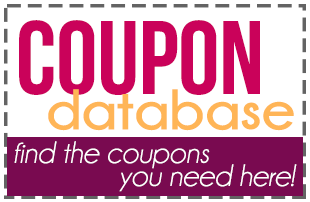 = $0.38 (or $0.19 each) after coupons and Ibotta deposit wyb 5 participating items!